Going out to dine and dance was a popular way to spend the evening until the 1970s. 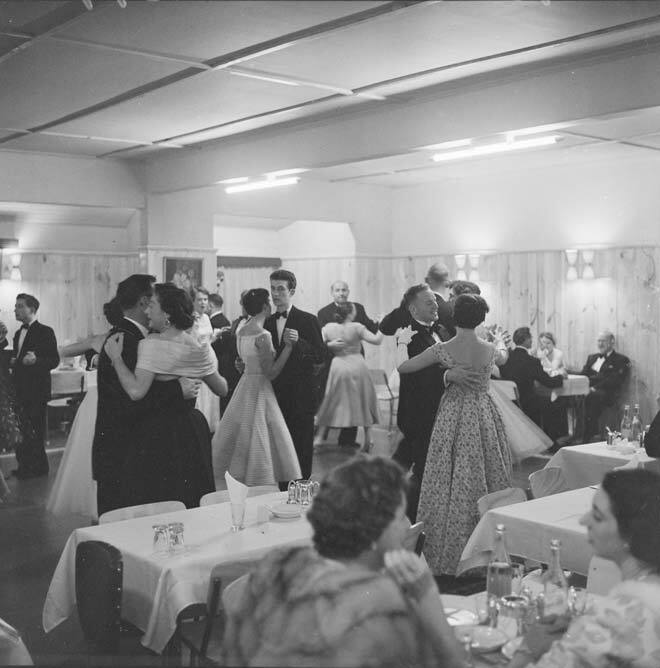 As this 1955 photograph shows, it was a formal occasion (unlike the local dances that were still taking place at the time) to which men wore suits rather than sports jackets. The cabaret shown here is in Houghton Bay, Wellington, and may be The Pines, a club still in existence in 2013.